This is a very good puzzle and took me a while to finally get! 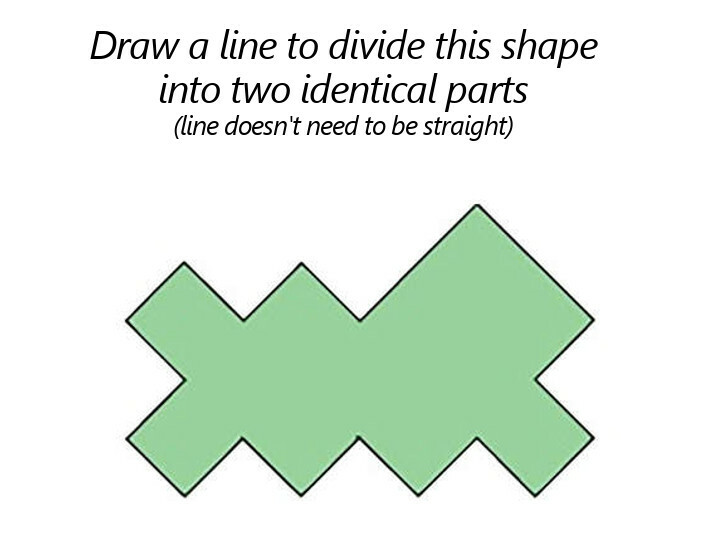 Draw a line (it doesn't have to be straight) that will divide this shape into two identical parts. Can you find such a line?